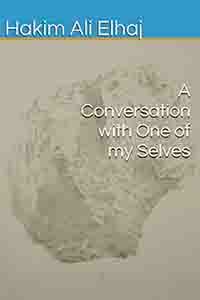 A Conversation with One of My Selves is very brave and special book, it’s very intensive and full of life, energy, ideas. you start reading when you are sleepy, as you were planning to read certain pages, but no, you smell Cuban cigar, and love, and lust and prayers and a lot of contradicted feelings, and you realize that you are falling in a philosophical trap yet a simple magic of something pointing at you, I felt my unspoken feelings, which is very personal feeling to be part of experience that you have never experienced. As soon as I think I can classify the book, I find something redirects me. I’m very happy that I had this chance to read this unique book couple of times, and I always find something special and interesting although I’m not very much into poetry as much as I like novels and criticism. Also the book is covered by a unique piece of contemporary painting by the Spanish artist Javier Arbizu, which is adding more singularity to the book.